Central Catholic catcher Dominic Keegan has been a force at the plate since the beginning of April. 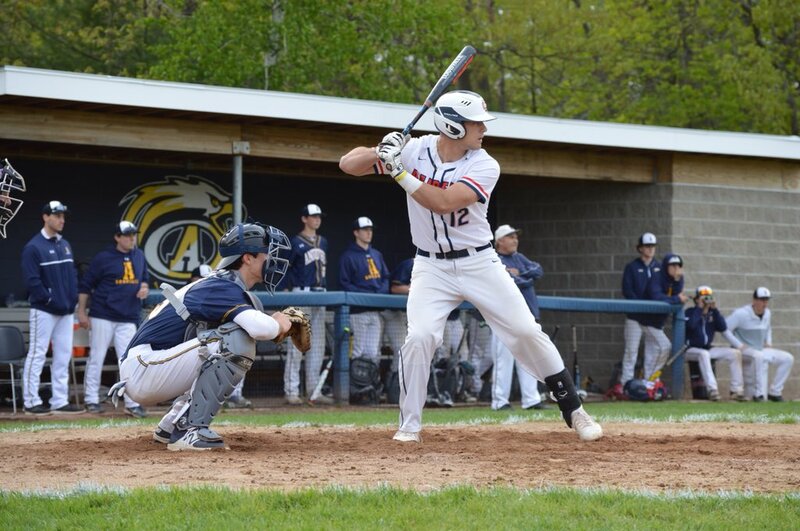 The MIAA Baseball season is slowly winding down with the state tournament hitting its stride and the Super Eight ready to narrow itself down to a final four. One season ago, Suite Sports announced BC High’s Mike Vasil as our first annual MIAA Baseball Player of the Year and now, we are excited to announce the candidates for 2018. Players are chosen based on a complete body of work, taking into account both regular season and postseason play. Here are this year’s candidates for our 2018 MIAA Baseball Player of the Year award. Check back in June 25th, following the conclusion of the season, when we will announce this year's winner. The Raiders have been one of the top teams in the Bay State all season long with Dominic Keegan leading the charge offensively. At the plate, the Vanderbilt commit is hitting .435 with two home runs, 19 RBIs, and 20 runs scored. He has 14 total extra base hits and an on-base percentage over .500. 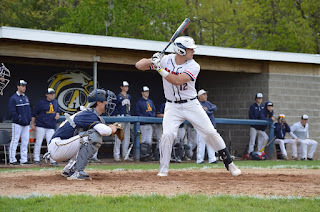 Espelin earned Co-MVP honors of the Middlesex League for his performance this past spring as he followed up a terrific junior campaign with an even better senior season. The Belmont left-hander finished 9-1 with a 1.38 ERA. Over 66 innings, Espelin struck out an impressive 109 hitters including 17 in his final start of the season. Joining Espelin as the Co-MVP of the Middlesex League, Frelick flashed his talents on the diamond from Opening Day. In leading Lexington to its first Super Eight appearance, Frelick finished the season hitting .487 with four home runs and 26 RBIs. The dynamic shortstop will continue his playing career next year at Boston College. The Mountaineers have had one of the best seasons in their program’s history, largely due to the offensive play of Durkan. The Stony Brook bound catcher is hitting a whopping .500 with five home runs and 28 RBIs. Franklin’s ace has done it all for the Panthers this season, coming through in big games every time they call his name. On the season, Noviello is 6-2 with a 1.58 ERA over 57.2 innings. Notably, the right-hander carried a no-hitter into the seventh inning versus Mansfield earlier this season and threw eight innings of one run ball against North Attleboro back on Memorial Day. While Vasil missed over a month due to an arm injury, he has been a consistent presence in the Eagles' lineup since Opening Day. At the plate, Vasil is hitting to the tune of a .413/.493/.619 slash line with 11 extra base hits and 20 RBIs. On the mound, Vasil is 3-1 with a 1.36 ERA. Over 25.2 innings he has 44 strikeouts and just four walks. Mansfield had a season to remember, finishing 19-5 with Tyler Dalton as the fulcrum to its success. The Hockomock League’s Most Valuable Player finished with a 6-1 record striking out 59 over 41.1 innings and pitching to the tune of a 1.70 ERA. At the plate, Dalton hit .431 with a home run and 27 RBIs. The only junior to make this list, Schlittler has been stellar in leading Walpole to one of the final six slots in this year's Super Eight. The Bay State Herget's Most Valuable Player has been the ace of the Rebels' staff going 6-1 with an ERA under one and 74 strikeouts. The 2018 Massachusetts’ Gatorade Player of the Year has been arguably the top two-way player in the Bay State this spring. Coming from the left-side at 89-92 miles per hour, Hajjar is 3-2 with a 0.171 ERA. He has 67 strikeouts in 41 innings and has allowed just one walk. Offensively, meanwhile, Hajjar is hitting .397 with one home run, four doubles, and 17 RBIs.